NEA hired DPCI to implement vjoon K4, a publishing platform that works in conjunction with Adobe Creative Cloud to allow editors, designers, and production professionals to collaborate more effectively. DPCI designed and implemented a dynamic and responsive help center portal for Royal Caribbean using the Drupal 8 web content management system. DPCI helped Render Media implement EnterMedia, an open-source digital asset management system, integrated with Drupal via the EMBridge module to provide enhanced digital asset upload, search, and retrieval functionality for each of the brands. DPCI developed a multi-channel publishing process that allows Stillwell Partners to build and style the calendar section of the Advertising Week guide within Adobe InDesign by importing XML via services from the Web CMS. DPCI provided Adobe Digital Publishing Suite consulting services to facilitate the launch of Jackson National Life Distributors, LLC’s first iPad app, the Retirement Hub. DPCI provided Adobe Digital Publishing Suite consulting services to assist International Society of Automation with the launch of the InTech Plus mobile app on Apple iPad. DPCI provided Drupal and Adobe Digital Publishing Suite consulting services to integrate Adobe InDesign, Drupal, and Adobe DPS to simplify the print to digital publishing process. DPCI helps the United Nations define an enterprise content management strategy to support the organization’s multi-channel publishing goals. DPCI helped Frames Data to integrate EnterMedia, an open source digital asset management system, with its existing content management system. DPCI provided Adobe DPS training services to help Scientific American staff create interactive iPad applications for Scientific American and Scientific American Mind magazines. DPCI provided Adobe Digital Publishing Suite consulting services to the National Student Clearinghouse to help develop an interactive newsletter for the iPad and captivate a new, mobile audience. Drupal Consulting for Minnesota Gastroenterology, P.A. DPCI provided Drupal consulting and Drupal development services to help Minnesota Gastroenterology enhance its existing Drupal Website to capture ePHI data for patients. DPCI provided Adobe Digital Publishing Suite consulting services to McGraw-Hill Education to help develop an interactive iPad application that showcases digital solutions to collegiate students and educators. DPCI provided Adobe Digital Publishing Suite consulting services to develop a custom storefront for the new Esquire magazine iPad application. DPCI helped NYU College of Nursing implement the Drupal Web content management system to improve creation, delivery and discoverability of content and increase traffic and readership of its Website. 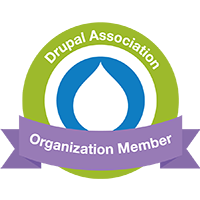 DPCI provided Drupal consulting and Drupal development services to help MPA launch a redesigned Website for the association.